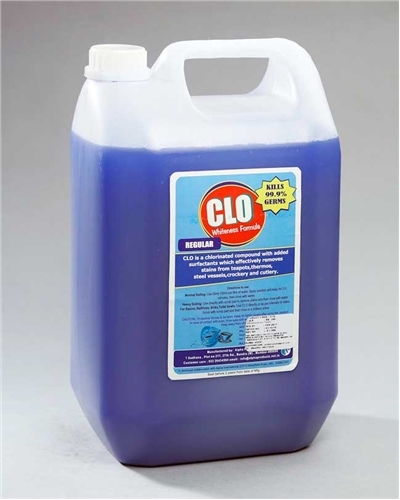 CLO is a concentrated chlorinated liquid containing surfactants and stain removing compounds. Useful for removing coffee stains, tea stains from cups and saucers. Effective against removing stains from stainless steel teapots and stainless steel utensils and chopping board. 1) For Heavy stains, CLO can be used neat. 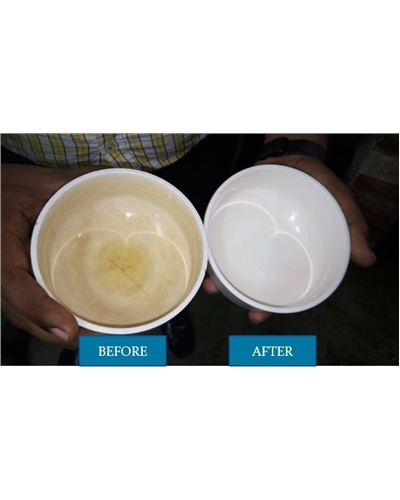 2) For normal stains, dilute 50-100 ml in 1 liter water. Keep for 10- 15 minutes and then rinse with water. 3) Replace lid after use. Use with care, protective gloves should be worn to avoid contact with skin. In case of contact with eyes and skin, rinse immediately with plenty of water and seek medical advice. For more information on product refer to our Material Safety Data Sheet.